Before most have a cup of coffee, you will have generated a number of new contacts! Jumpstart your morning with our Power Networking Breakfast (PNB)! 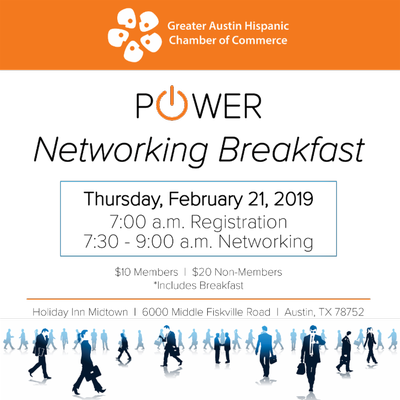 Foster new business partnerships and learn about the GAHCC mission, vision and initiatives. Remember, it's not what you know, but who you know, and who you know could help you land your next BIG DEAL!